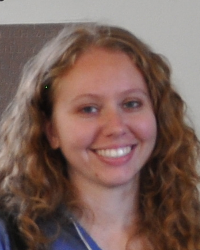 Amanda began work at NCAR in 2009 after attending Colorado State University as part of the radar group, receiving her Masters of Science in 2011. She serves as scientific lead for the road weather program in RAL, and her main areas of focus are the use of connected vehicle data in weather observation/forecasting and decision support for road maintenance personnel and the traveling public. Her other areas of interest include verification, radar, and nowcasting. In addition to her research at NCAR, Amanda serves as a member of the American Meteorological Society ITS/Surface Transportation Committee as well as the Mobile Observations subcommittee. She also mentors students in research and computing as a part of the Significant Opportunities in Atmospheric Research and Science program. Use of connected vehicle technology and data in road weather applications, particularly decision support and hazardous weather identification and warnings.